But we are talking of some Nigerians who were gruesomely killed during the just conducted general elections in all parts of Nigeria with very specific focus on Rivers state which is the epicenter of the election related killings. Rivers is also an interesting area of focus because of two heavy weights belonging to the two heavyweight politics parties of Peoples Democratic Party (PDP) and the All Progressives Congress (APC). 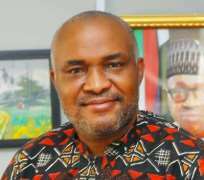 *Comrade Emmanuel Onwubiko is the head of Human Rights Writers Association of Nigeria and blogs @ www.huriwanigeria.com ; www.huriwa.blogspot.com ; www.emmanuelonwubiko.com ; www.thenigerianinsidernews.com .